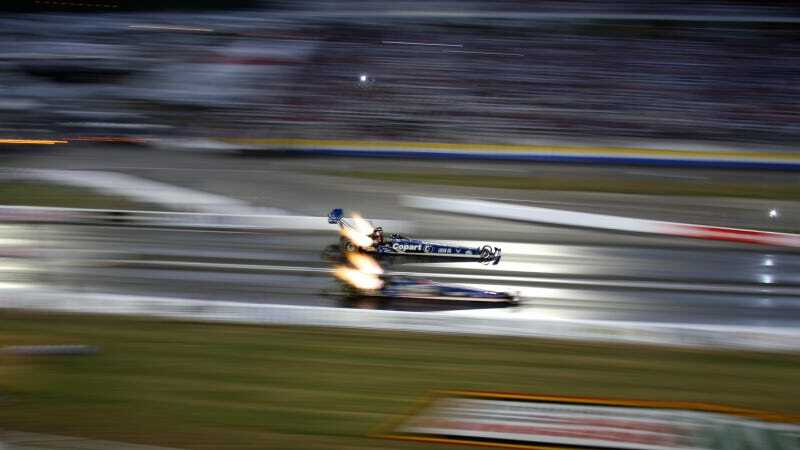 NHRA top fuel drag racing tends to get overlooked on these pages, despite it being a raucous good time. Here's a wallpaper from Eric Rieskamp from the 2010 NHRA US Nationals qualifying of Brandon Bernstein's Copart top fuel dragster. So fast.